Ships tomorrow if you order in the next 21 hours 58 minutes. Indigestion and maldigestion affect millions of people on a daily basis. Illness, gall bladder removal, and normal aging are just some of the conditions that can cause a slowdown of stomach acid secretion and bile production, which can have an effect on digestive enzyme activity. As a result, you may experience G.I. discomfort, heartburn, gas, and bloating. 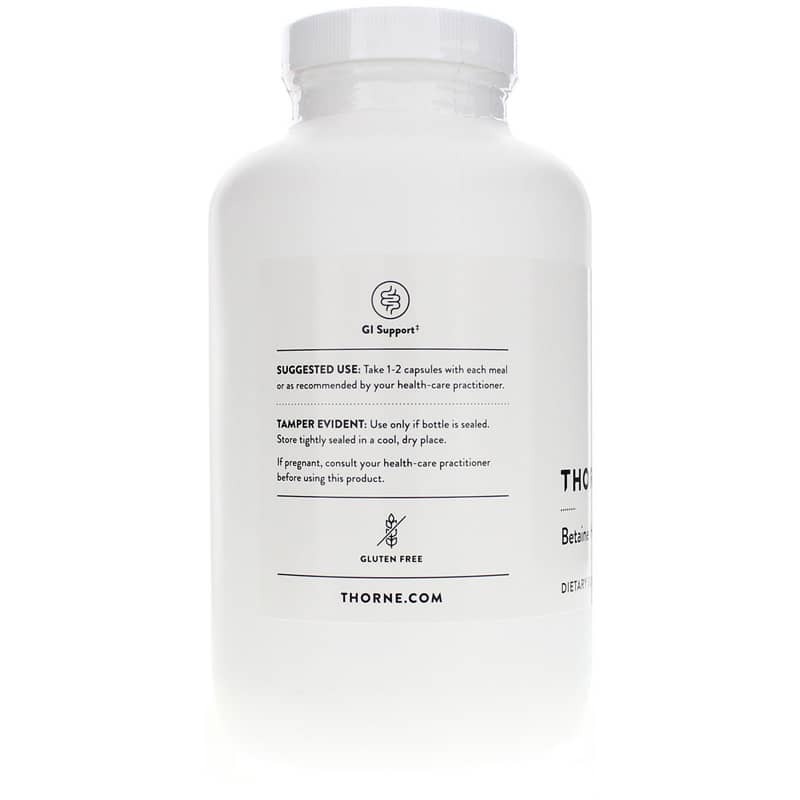 Betaine HCl and Pepsin from Thorne Research provides the support your body needs for better protein digestion. Make the right choice for better digestion. 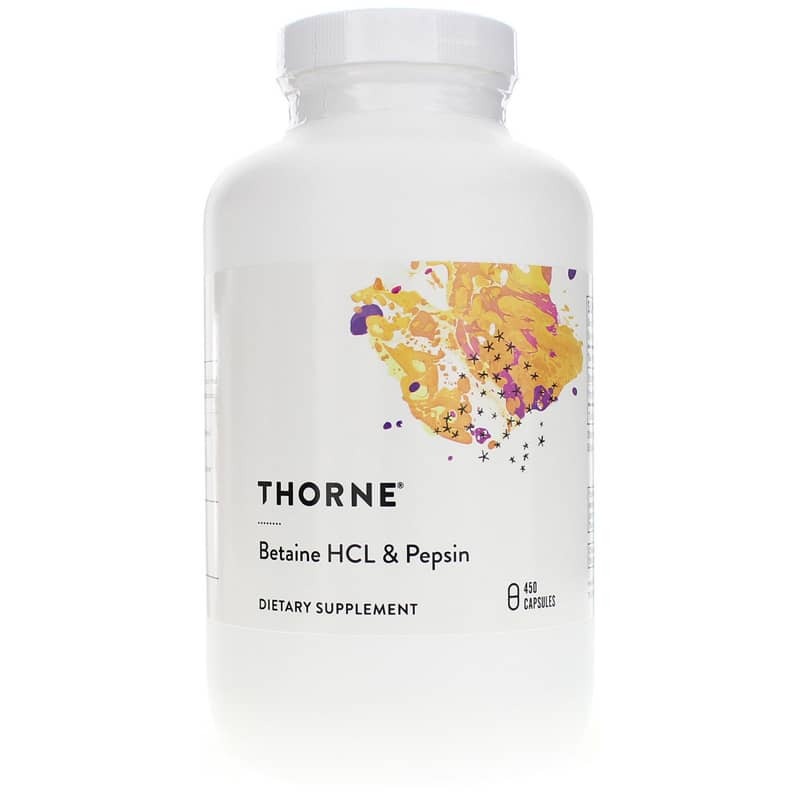 Try Betaine HCl with Pepsin by Thorne Research today and take another step toward optimal health and wellness. 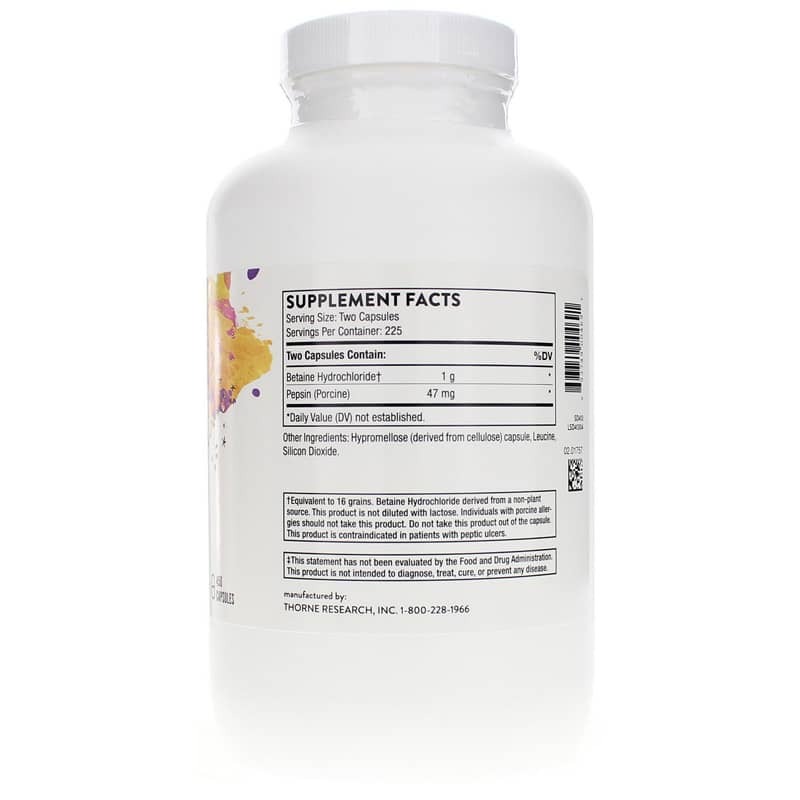 Other Ingredients: Hypromellose (derived from cellulose) capsule, Leucine, Silicon Dioxide. Betaine HCl and Pepsin contains an ingredient derived from a porcine (pork) source. Betaine Hydrochloride derived from a non-plant source. This product is not diluted with lactose. Individuals with porcine allergies should not take this product. Do not take this product out of the capsule. This product is contraindicated in patients with peptic ulcers. If you are pregnant or nursing, please consult your healthcare professional before using this product. Keep out of the reach of children. Betaine HCL and Pepsin should not be used concurrently with H2-blocking drugs and proton pump inhibitors, because these drugs are intended to block the production of stomach HCl. Betaine HCL and Pepsin should be used with caution in an individual with a history of a peptic or duodenal ulcer. It is not recommended to remove the Betaine HCL and Pepsin powder from the capsule, as it can be irritating to the oral mucosa.